As a contrast to last year's edition Boss Nuit Pour Femme, the house of Hugo Boss is launching another fragrance for women this year—Boss Jour Pour Femme. 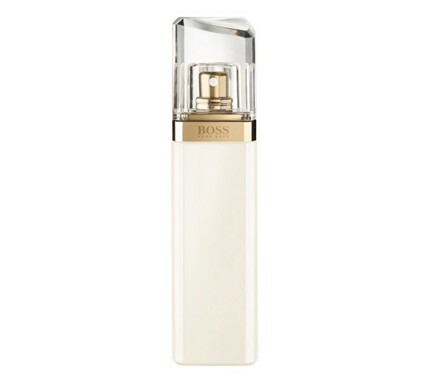 A milky white flacon, shaped like last year's edition Nuit, hides Boss Jour Pour Femme and is launched in Spring 2013. The new fragrance was created to show three faces of a woman: inspiration, composure and ease, described with a beautiful blend of white flowers chilled with sparkling citrus. Lightness and freshness are presented with a combination of accented accords of lime and grapefruit blossom representing the liveliness of the first morning rays of light that radiate with positive anticipation. Inspiration is retold with a rich bouquet of white flowers, including flowers of freesia, lily of the valley and honeysuckle celebrating the femininity and beautiful diversity of life of every woman. Composure is described with a more powerful, masculine finish which includes accords of white birch and creamy amber. It is recommended for evening wear.